Rose hips, the part of the rose blossom that remains when the petals have been removed, are a rich source of vitamin C, other vitamins, and bioflavonoids. 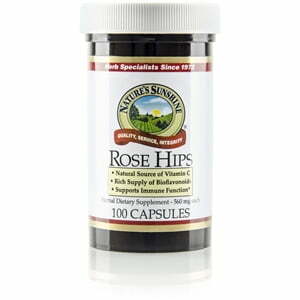 The nutrients in rose hips support immune health. 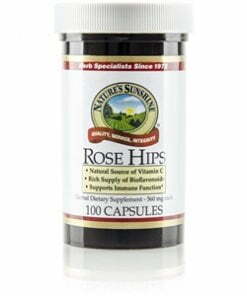 Nature’s Sunshine Rose Hips capsules are 560 mg.